Do you want to give a gift to the person that you love? Give them the opportunity to choose the gift for themselves buy giving them a GIFT CARD! You can’t go wrong! 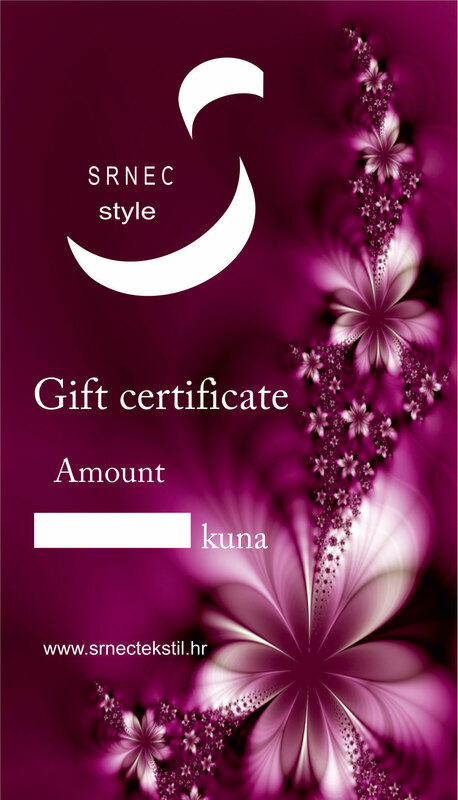 You can purchase a gift card at stores where you can find products from the Srnec Style collection. You decide yourself the amount of money you want to give. In case your gift card receiver wants to purchase something for a high amount, they can pay the difference themselves. In case your gift card receiver wants to buy products for lower amount of money, the difference will remain on the card. Join our mailing list and be the first to receive information about our discounts and the latest news in fashion world.